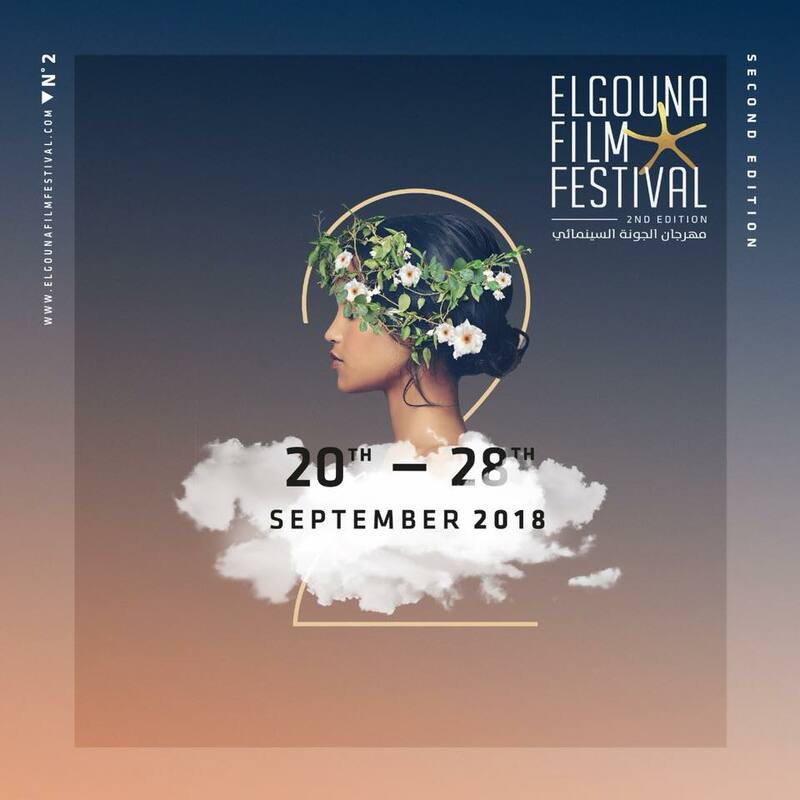 “We decided to have all the aspects of a big film festival right from the beginning and, since our first edition [held last year] was a huge success and we got extensive coverage, we’ve built on the industry’s trust.” That was director Intishal al-Timimi during the closing ceremony of the 2nd round of Gouna Film Festival (GFF) which ran from 20 to 28 September at the enchanting resort of al-Gouna on the Red Sea shore. “Now the films are coming to us, rather than us having to chase them, and we intend to increase the number of world and international premieres in coming years.” Timimi added that GFF sought a balance between red carpets events and the prize money necessary to build its profile. This year’s festival, which opened with French director Thomas Lilti’s The Freshmen, featured more than 80 films. Fifteen participated in the Feature Narrative Competition, 12 in the Feature Documentary Competition, 23 in the Short Film Competition, and five films in GFF’s special retrospectives programme. The festival screened 25 films Out of Competition, bringing the total count to 80 titles, 10 more films than its first edition. It witnessed participation of 480 Egyptian and foreign guests. The festival lasted one day longer than last year’s. Most of the films shown were subtitled and, in an attempt to create more engagement with film-loving audiences many screenings included discussions with the filmmakers and cast. “Our challenge was to balance the needs of the local audience that doesn’t get to see certain types of films in Egyptian cinemas, and those of the international guests who might have seen them on the festival circuit,” artistic director Amir Ramsis said. That’s why we had the competition for great films that might not have gained huge attention at recent festivals, and the special screening of films that already won big prizes. The juries included world-renowned Arab actor of Palestinian origin Ali Suliman; Egyptian film star Mona Zaki; acclaimed Moroccan director Ahmed al-Maanouni; newly-appointed Berlinale director Carlo Chatrian; Croatian producer Cedomir Kolar; Palestinian director Rashid Masharawi; film programmer Ally Derks and Mike Pandey; a three-time Green Oscar winning filmmaker from India. The jury also comprised Georgian director Ana Urushadze; whose film Scary Mother won GFF’s Golden Star last year; Jordanian actress Saba Mubarak; Austrian programmer Doris Bauer; and Palestinian actor Kamel al-Basha; who won the Best Actor Award at the 2017 Venice Film Festival. The festival looked at rampant bloodshed, conflicts and wars in the Arab region and beyond, hoping to play a role in connecting people and promoting values of coexistence and tolerance. A new prize was created this year, named after the international Egyptian actor Omar Sharif. It was won by British actor Clive Owen. 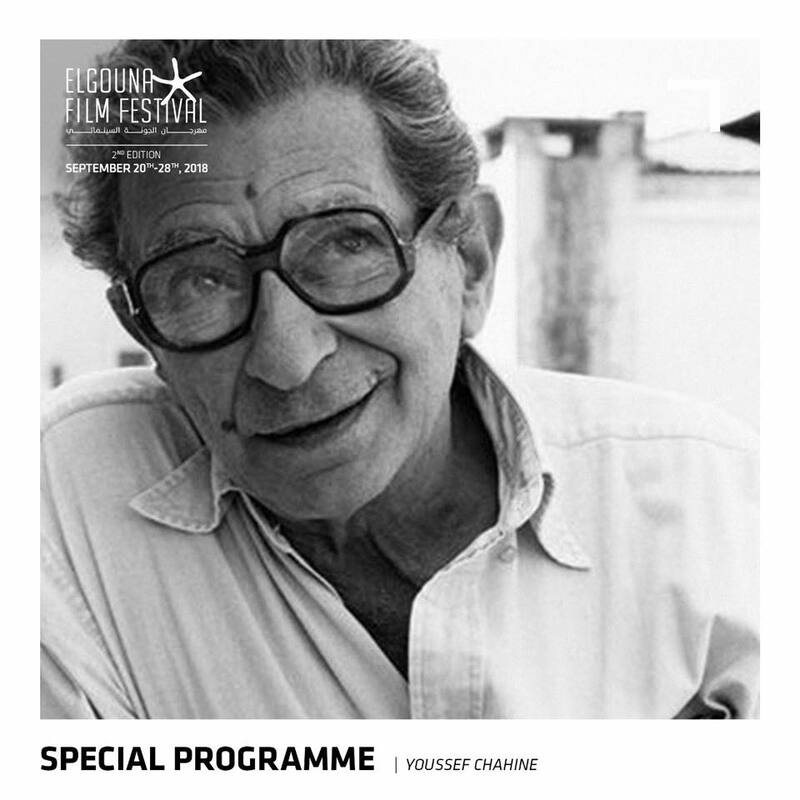 In addition to the film screenings, the festival paid tribute to three iconic directors; Youssef Chahine from Egypt; Federico Fellini from Italy; and Ingmar Bergman from Sweden. In honour of the 10th anniversary of Chahine’s death, there was a spectacle featuring scenes from Chahine’s films accompanied by a live performance of selections from his film scores, played by a 50-person orchestra led by Conductor Hisham Gabr. An exhibition of Fillini’s film posters commemorated his 25th death anniversary. Two Bergman films were screened, and photographs related to his career were displayed in an exhibit contributed by the Swedish Embassy and Swedish Film Institute in Cairo. 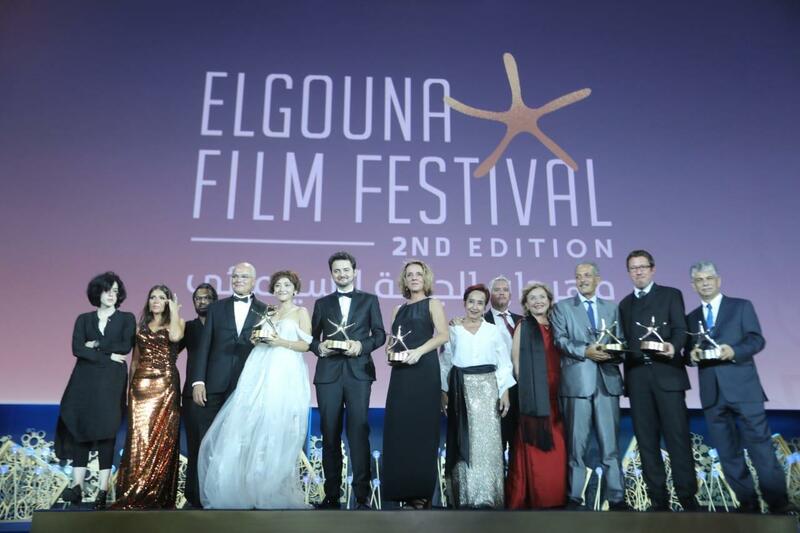 The festival’s Creative Achievement Award was granted to iconic Egyptian director Dawood Abdel-Sayed and Tunisian producer Dora Bouchoucha. A documentary was screened that showcased shots from some of Sayed’s memorable films to comments by filmmakers on his works. “I wish to thank everyone who praised my work. I am just a director who loves cinema,” he humbly said. As to Bouchoucha, she said that she is totally impressed by the festival. She warmly praised the volunteers who helped organise GFF and said that she had started her career as a volunteer in a festival. Singaporean director Siew Hua Yeo’s A Land Imagined won the top award—the GFF’s Gold Star [starfish]. The film tells the story of two Chinese construction workers who go missing at a Singaporean construction site. Ray & Liz, directed by the UK’s Richard Billingham, won the Silver Star in the same competition. Stunningly filmed in 16mm, Ray & Liz is a painstakingly vivid testament to Billingham’s memories and the desolation and impact caused by government’s austerity measures. The Bronze Star went to The Heiresses directed by Paraguay’s Marcelo Martinessi, and winner of the Silver Bear for Best Actress and Alfred Bauer Prize at the 2018 Berlinale. The film tells the story of Chela and Chiquita, both descended from wealthy families that are no longer rich. When their debts lead to Chiquita being imprisoned on fraud charges; Chela begins to come out of her shell and engage with the world, embarking on her own personal, intimate revolution. Best actress went to Joanna Kulig for her performance in Pawel Pawlikowski’s Cold War, winner of the Best Director award at Cannes. Set against the background of the Cold War in the 1950s in Poland, Berlin, Yugoslavia, and Paris, the film has been described by critics as “bittersweet and unbearably lovely, a sad ballad of two lovers who cannot stay apart but who frequently cannot stand each other”. It tracks the tempestuous relationship between pianist Wiktor (Tomasz Kot) and singer-dancer Zula (Joanna Kulig), two Poles who shuttle back and forth across the Iron Curtain. 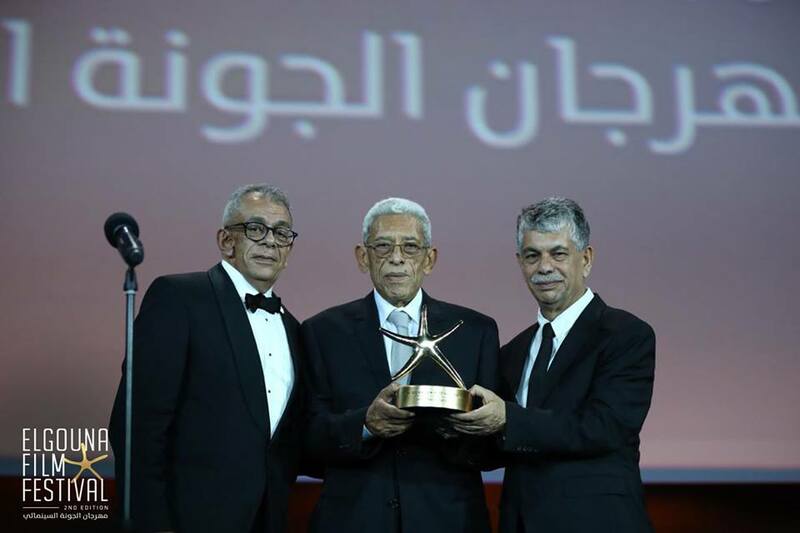 Tunisian Mohamed Dhrif won best actor for Mohamed Ben Attia’s Dear Son. Juanita Onzaga’s Our Song To War won the Golden Star in the Short Film competition. In the Feature Documentary section, Victor Kossakovsky’s Aquarela took the Golden Star, while Of Fathers And Sons directed by Berlin based Syrian filmmaker, Talal Derki, won both the Silver Star and best Arab documentary. The film provides a rare insight into what it means to grow up with a father whose only dream is to establish an Islamic Caliphate. 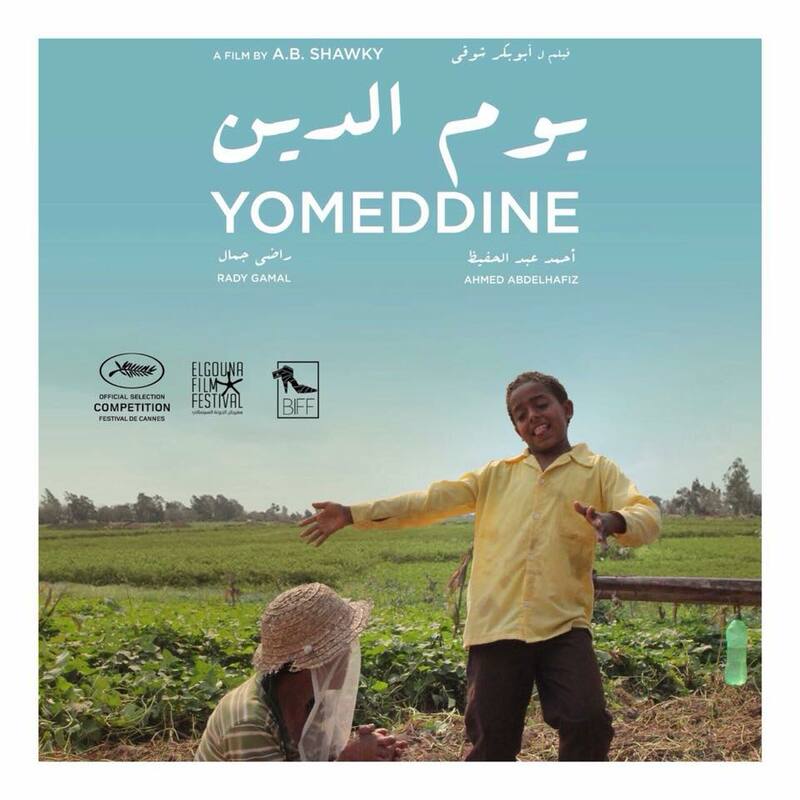 The Cinema for Humanity Audience Award went to Yomeddine, literally ‘Day of Judgement’ a first-time feature from Egypt’s Abu-Bakr Shawky. It also won the Gold Star for Narrative Film, jointly with the Polish-Spanish Another Day Of Life. Yomeddine tells the story of Bishay, a Coptic leper who spent his life in the leper colony. He was cured but his wife, also a leper, dies. He then decides to leave the colony and go search for his roots and the father who had abandoned him. Accompanying him are the only friends he has: a Nubian child and a donkey. Bishay’s journey takes him into the past and future as well, exploring how society ostracises those who have his disease, and highlighting their suffering in the leper colony. The film is not only brilliant for its humanitarian message, but also in its execution as a riveting drama. In his speech, Shawky thanked two special persons: Rady Gamal and Ahmed Abdel-Hafez. Rady Gamal is a real-life recovered leper; Shawky insisted on having him play the lead role. The audience was delighted to see Gamal attend the festival sending a powerful message of acceptance and inclusiveness to the whole world. Other than the competition sections, GFF included an Out of Competition section, which screened recent festival hits such as Happy As Lazzaro; Shoplifters; Peterloo; The Old Man and The Gun and the world premiere of Egyptian drama Gunshot. 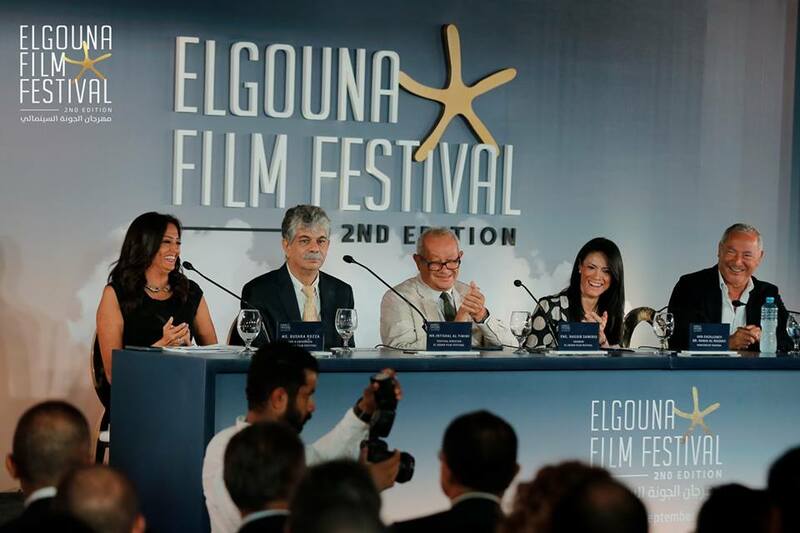 The Sawiris brothers, the tycoons Samih and Naguib, and other sponsors spent USD3.3 million to bring together in Gouna 450 people of the cinema industry, including 150 international actors, actresses, producers, directors and critics. International celebrities attending the event included American stars such as Patrick Dempsey, Owen Wilson, Andrew Wilson and Brazilian actress Desiree Popper. 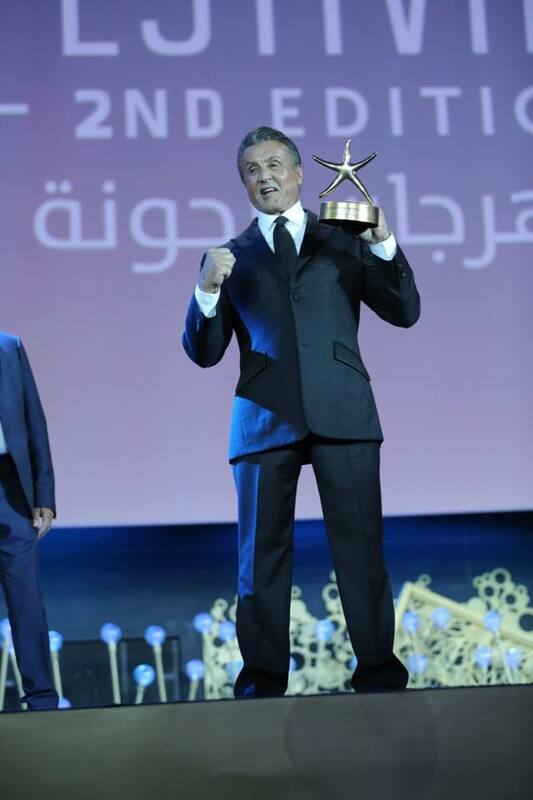 Hollywood action star, director and screenwriter Sylvester Stallone was awarded the Gouna Lifetime Achievement Award. This year’s guest of honour was ‘Grey’s Anatomy’ heartthrob Patrick Dempsey, who is known for his character as the neurosurgeon Derek ‘McDreamy’ Shepherd in the show that landed him a two-time Golden Globe nomination as well as Teen Choice Award nominations. He also acted in Enchanted, Made of Honour, and Valentine’s Day. According to the festival organisers, this year’s edition surpassed last year’s total ticket sales of more than 8,000 on the third day of the event. 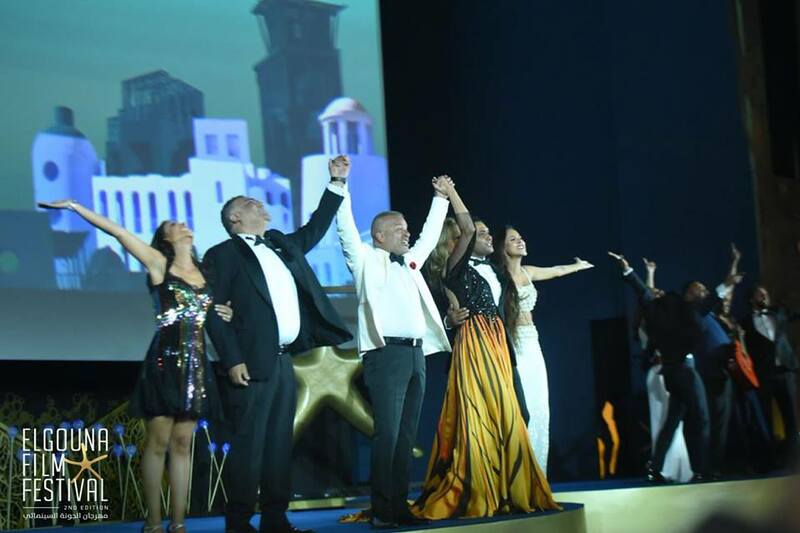 In addition to the local population in al-Gouna and neighbouring Red Sea resorts, audiences had flown in from major Egyptian cities and other countries in the region. 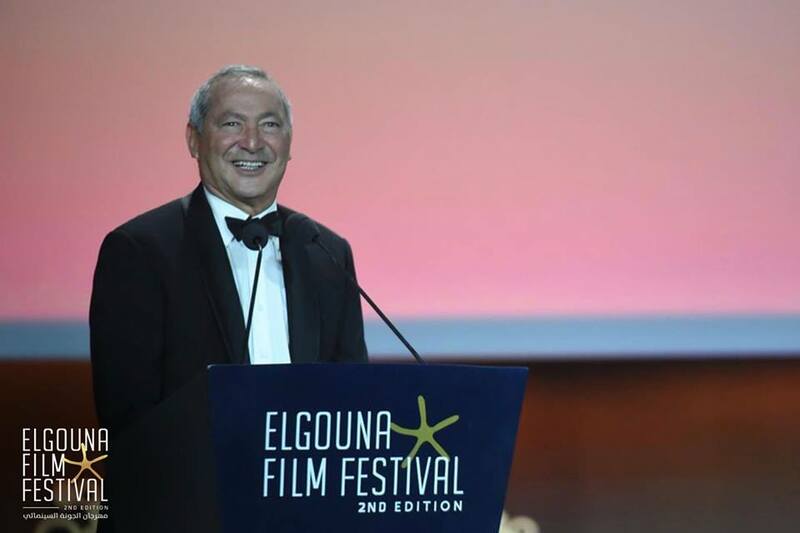 For his part, a delighted Samih Sawiris, founder of Gouna and co-founder of the festival, was keen to draw attention to his father, businessman Onsy Sawiris, 88. The senior Sawiris, Samih said, had come especially from Switzerland where he was on medical treatment to attend the GFF opening ceremony. Samih also expressed his gratefulness to the General Ahmed Abdullah, the Red Sea Governor, for his enthusiastic support. Naguib Sawiris as well thanked all the sponsors for their help to realise such a successful festival. “The festival proves that cinema is an ‘industry of joy’. For me, I prefer to meet actors and actresses rather than businessmen,” he laughed. “The festival proves that Egypt is fine, safe, and her people are the best,” he proudly said. “The festival aspires to become an occasion for cultural exchange among peoples, countries and regions,” he added. “What is happening in places such as Syria, Iraq or Myanmar has nothing to do with humanity.” He expressed a wish that Gouna Festival would act as an invitation to awaken human conscience. “Hope to see you all here next year,” he happily concluded.